Friday, May 8, 2015, 9:00 - 17:00, Biosystems Building, Room E203. Host and Co-Instructor: Keiichi Namba. Thanks to Tohru Minamino and Kana Moriya Nishimura. Teaching assistants Yurika Yamada, Péter Horváth, Tomofumi Sakai. Principal author of FirstGlance in Jmol; co-developer of Proteopedia and the ConSurf Server. Objectives: Participants will use highly user-friendly software for visual investigation of 3D molecular structures of proteins, nucleic acids, and their interactions with each other and with ligands, substrates, and drugs; and of protein evolutionary conservation. Hands-on experience will be largely with molecules of each participant's choosing. Participants will learn how to create publication-quality molecular images and rotating molecules in Powerpoint slides. In the Chrome browser, go to our syllabus: Workshops.MolviZ.Org. Now you can see this document in your browser. 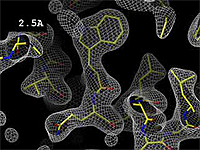 You can see molecules without Java, using JSmol, in the primary tool of this course: FirstGlance.Jmol.Org. For some older sites that display molecules in Jmol, or for especially large molecules, you may need to install and enable Java. Java will also make FirstGlance run faster and smoother. TA's and Instructors will help you! 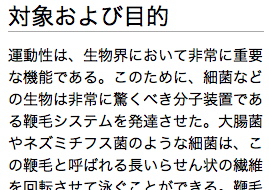 Pages in Japanese, Chinese, Arabic, Turkish, Russian, etc. PDB code for an X-ray crystal structure with good resolution <= 2.5 Ångstroms. Go to Proteopedia.Org and enter 4enl in the search slot at left. 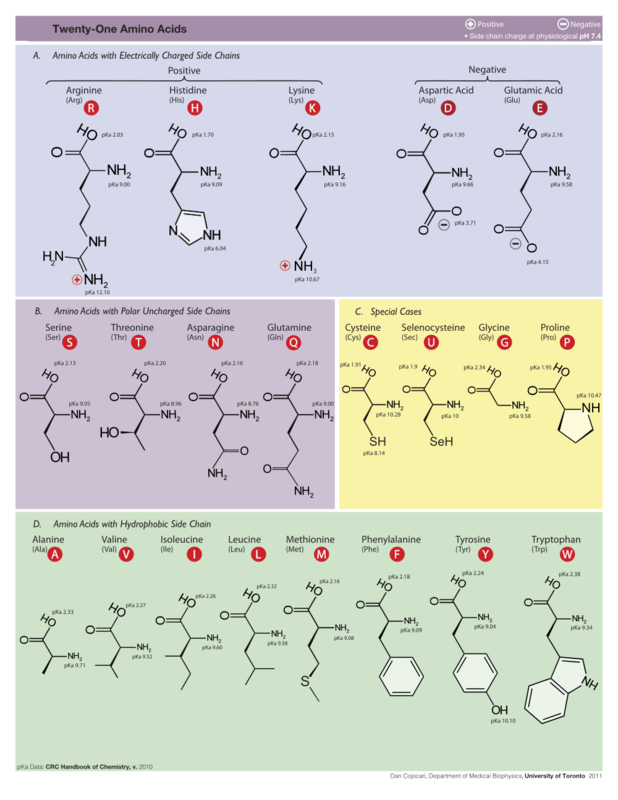 Look for Evolutionary Conservation and check the checkbox to color each amino acid by evolutionary conservation. 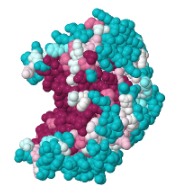 Important: Many molecules do not have evolutionary conservation available in Proteopedia. For these, and for homology models, you must calculate the conservation using the ConSurf server. 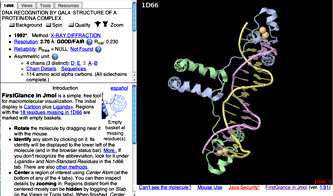 To start FirstGlance, go to FirstGlance.Jmol.Org and enter the PDB code, or upload your homology model. Salt bridges in Charge View (Red sidechain touching blue sidechain). Compare with this theoretical model of a gramicidin channel in a phosphatidyl ethanolamine bilayer, in Proteopedia. or FirstGlance in Jmol. Be sure to toggle the Water and Ligand buttons!